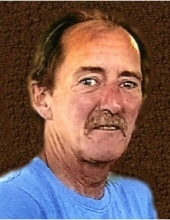 Mr. James Denton, age 54, of Olive Hill, Kentucky, passed away Saturday evening, March 16, 2019, in South Bloomfield, Ohio. He was born May 17, 1964, in Mt. Vernon, Ohio, a son of Mary Billman Wilkinson of Mansfield, Ohio, and the late William Denton. James worked at Smithfield in Grayson, Kentucky, and he enjoyed scraping, mowing, working on engines, hunting, fishing and spending time with his family. In addition to his father, he was preceded in death by one daughter, Tabbitha Danielle Carroll, and two step brothers, Ronald Wilkinson and Randy Wilkinson. In addition to his mother, James is survived by his wife of 27 years, Karen Carroll Denton; two sons and one daughter-in-law, Thomas Carroll (Destiny) of Olive Hill, Kentucky, and Kevin and April Rannigan of Mansfield, Ohio; one daughter, Amanda Lewis of Olive Hill, Kentucky; nine grandchildren; two brothers and one sister-in-law, Bill Denton of South Carolina, and Chuck and Janet Denton of Mansfield, Ohio; one sister and brother-in-law, Mary and James Andrews of Mansfield, Ohio; two step brothers, Ralph Wilkinson of Columbus, Ohio, and Russ and Debbie Wilkinson of South Carolina; and one step sister, Susan Lunts of Ohio. He also leaves many other family members and friends who will sadly miss him. Funeral services will be held at 11 a.m. Thursday, March 21, 2019, at Globe Funeral Chapel in Olive Hill, Kentucky, with Brother Dewayne Johnson officiating. Burial will follow in the Carroll Cemetery in Olive Hill, Kentucky. Friends may visit from 6 p.m. to 8 p.m. Wednesday, March 20, 2019, and after 9 a.m. on Thursday at Globe Funeral Chapel, 17277 West Highway US 60, Olive Hill, Kentucky 41164. Family and Friends will serve as pallbearers. Bill Denton, Chuck Denton, Thomas Carroll, and Kevin Rannigan. "Email Address" would like to share the life celebration of James Christopher Denton. Click on the "link" to go to share a favorite memory or leave a condolence message for the family.